Over the past decade there have been major advances in our understanding of the factors that regulate osteoclast formation and activity. It is now apparent that receptor activator NFκB (RANK), its ligand, RANKL (also known as TRANCE, osteoclast differentiation factor and osteoprotegerin (OPG) ligand) and the natural RANKL inhibitor, OPG, are the key factors regulating osteoclast formation in normal bone physiology. 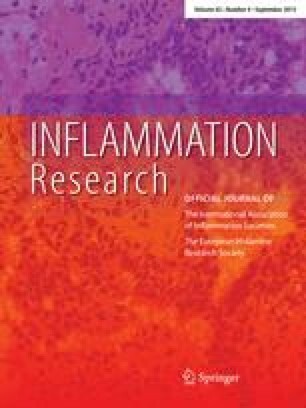 The molecular interactions of these molecules regulate osteoclast formation and subsequent bone loss in disease and there is now strong evidence that the bone loss associated with inflammatory diseases, such as rheumatoid arthritis, periodontal disease and peri-implant loosening, is regulated by the action of RANK, RANKL, and OPG. These molecules are targets for the pharmacological regulation of severe bone loss in several common inflammatory diseases. An erratum to this article is available at http://dx.doi.org/10.1007/s00011-011-0369-7.